There is a small apple tree on the border of our backyard and our neighbor's. We think it's ours, but we're not sure. It is filled with apples and they are almost ready to be picked. The apple tree at Lola's new daycare is already there. Yesterday I sent Lola off with an empty basket and when I picked her up, it was filled with freshly picked apples. We set out to make apple sauce as soon as we came home. Lola was very excited about the process. She made certain that Ryan knew this wasn't just any apple sauce, it was home made. I have now added a food mill to my appliance wish list and I can see canning in my future. Very clearly. 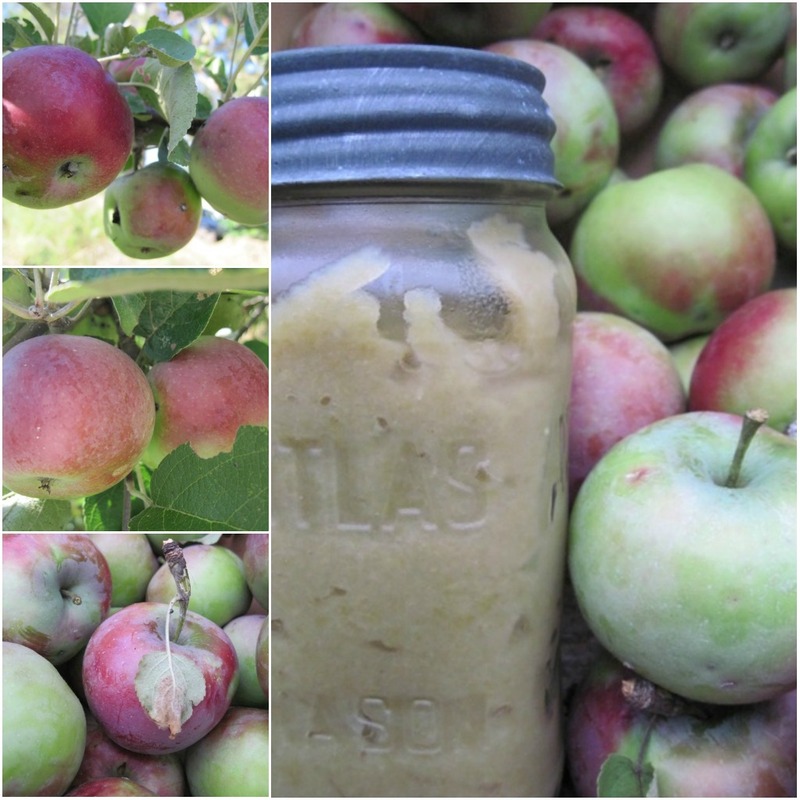 There is NOTHING that compares to homemade on the applesauce front. Apples are already ripe by you? Wow.